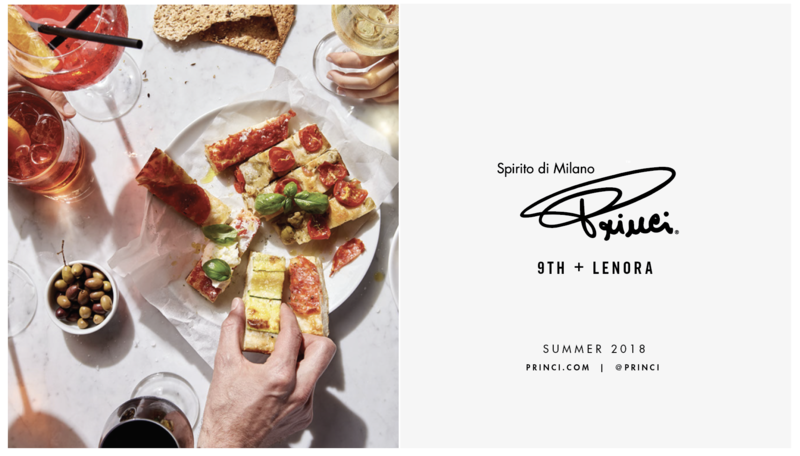 With only a few locations worldwide, Princi is a restaurant, bakery, and cocktail bar hybrid. Some call it other-worldly and we’re calling it one of our absolute favorites. Other locations include Milan, London, and Shanghai, so being one of the chosen few is something we’re celebrating. Princi offers a worldly approach to dining and serves artisan breads, pastries, desserts, pizza, aperitivo, and craft cocktails. The experience truly immerses the senses. It is no surprise that such a visionary concept has decided to call the one-of-a-kind Stratus Apartments home. Doors will open soon and Stratus residents will have a first look (and taste). Now’s the time to eat, drink, and live Italian!